Let’s talk about produce guilt. A few days after you’ve grocery shopped like you were on a game show or enthusiastically customized your box as if the entire US National Soccer team was coming over for dinner, you start to worry that you aren’t going to be able to use up all of your produce. You’re worried now because the whole purpose of this box was to fight food waste and so wasting any of this stuff would kinda defeat the purpose, right? We’ve been there, want you to stay calm, and remember that you have options! The problem: With chiles, a little goes a long way. It’s so easy to get a few chiles, use one for a recipe, and then be left with too many of their of spicy friends waiting in the wings for their moment of stardom that may never come. Quick and easy fix: Pickle your chiles! Pickling chiles will make them last longer and creates an addictively tangy topping for any taco, sandwich, or veggie bowl! If you feel like a project: Make homemade hot sauce! If you’re a fan of spicy food, you probably burn through hot sauce the way some people burn through cans of La Croix or episodes of Game of Thrones, but have you ever tried making it? Making hot sauce is a great way to learn more about chiles that also makes a great gift and conversation piece at your next dinner party. The problem: We never feel like we have enough time in the day, but some days we feel like we have way too much thyme. Herbs have this tendency to come in large bunches that are hard to easily finish and they also lose their amazing flavor and wilt alarmingly quickly. Quick and easy fix: Make herb butter! With hard herbs like rosemary, thyme, or oregano, we love making herb butter because it’s versatile, makes anything delicious, and can be easily frozen to use later. If you feel like a project: Make herb-infused simple syrup for drinks! Whether you’re a casual cocktail connoisseur or an aspiring mixologist, having homemade simple syrups around will up your game. The problem: Celery is to produce what sheep are to Settlers of Catan. There’s always slightly too much around for everyone's needs. Even a small bunch of celery contains 10-12 ribs, which always leaves us racing to use up the core before it becomes limp and sad. Quick and easy fix: Make celery soup! 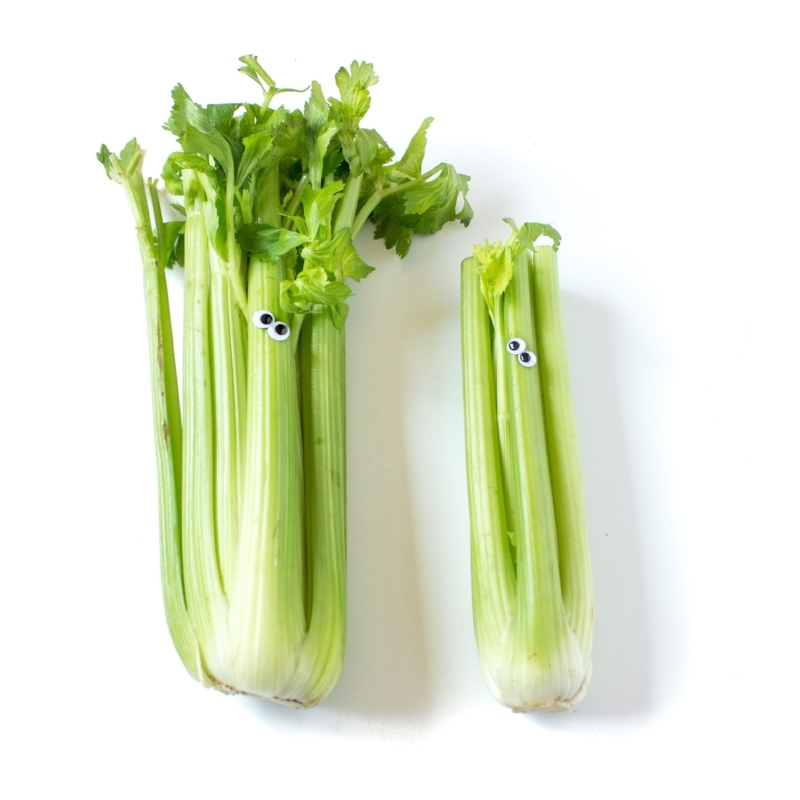 Celery is so often a supporting cast member. If you’ve got too much, let it be the star. There’s no better medium for this than a rich celery soup that makes use of your other Imperfect veggies too! If you feel a project: Make stock! Meat and vegetable stocks benefit from celery’s flavor and so when we have stray celery around, this is where it ends up. If you’re not planning on making stock soon, just freeze your extra celery along with other vegetable scraps and/or meat scraps and make stock when you’ve got enough. Future you will thank us!